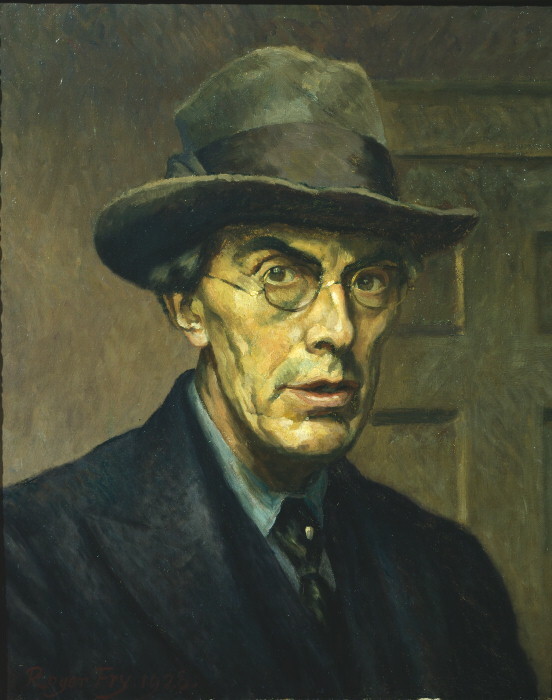 Roger Fry (1866–1934), Self-portrait (1928), oil on canvas, 45.7 x 37.1 cm, The Courtauld Gallery, London. Wikimedia Commons. The history of art, as seen from 2015, is often capricious and very different from how it was seen at the time. In 1910, midway between Cézanne’s death and the outbreak of war in Europe, a science graduate turned critic, painter, and art historian, organised an exhibition at the Grafton Galleries, London, entitled Manet and the Post-Impressionists. For many who attended, it was their first exposure to works by Cézanne, Gauguin, Matisse, and van Gogh, and even Manet may not have been too familiar. Although slated by most critics, over 25,000 attended the exhibition, and it was followed by a second only two years later. 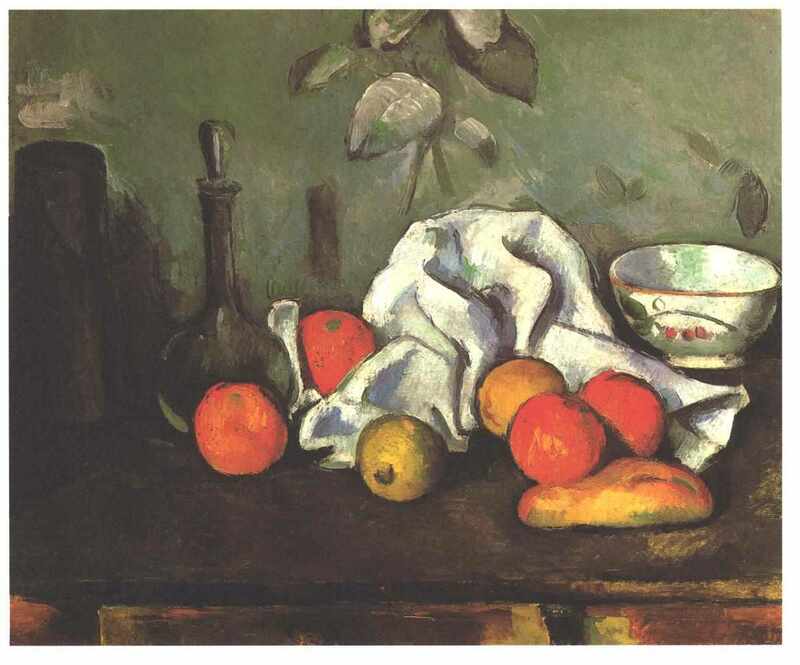 These, and the much larger and broad-based Armory Show (the International Exhibition of Modern Art organised by the Association of American Painters and Sculptors) of New York in 1913, established the reputations and places in art history of Cézanne and others, at least in the English-speaking world. At the same time, they sealed the fate – for much of the rest of the twentieth century, at least – of John Singer Sargent. The two London Post-Impressionist exhibitions were part of a campaign which became Roger Fry‘s mission in life, ably supported by his notable friends in the Bloomsbury Group, a clique which continues to dominate several spheres in the world today. In addition to Fry and art critic Clive Bell, the group included E M Forster and Virginia Woolf, still popular novellists, Lytton Strachey, a popular biographer, and the economist John Maynard Keynes. Close friends, but outside the central clique, included T S Eliot, Katherine Mansfield, Vita Sackville-West, and at times extended to the likes of Aldous Huxley and Bertrand Russell. Members of the Bloomsbury Group were decidely upper middle class; Clive Bell’s family made its fortune in coal mines in Wiltshire and South Wales, for example. Most of the men were educated at Cambridge University, and several had first met there as members of an exclusive society (fraternity), the Apostles. When he had completed his Natural Sciences degree with first class honours, Fry changed tack and went to London, then to Paris and Italy, to learn how to paint. His early paintings appear to have been fairly realist with impressionist tendencies. He visited Venice, which he painted very competently, but did not show any obvious painting genius. 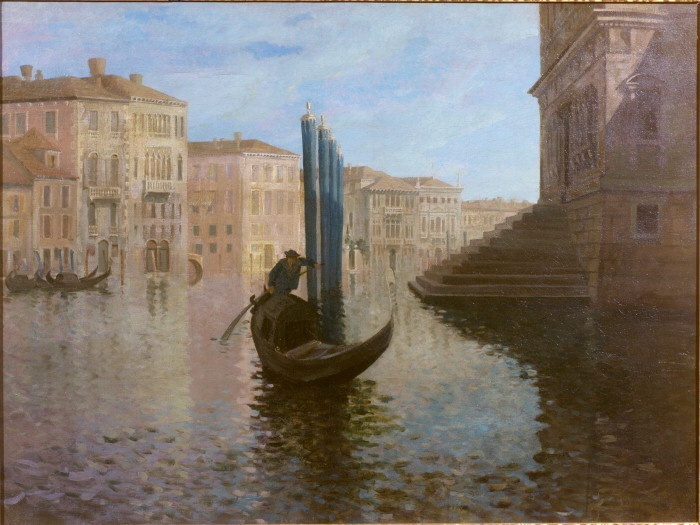 Roger Fry (1866–1934), Venice (1899), oil on canvas, 76.6 × 101.7 cm, Bucks County Museum, Aylesbury, England. Wikimedia Commons. On his return to the UK, he specialised in art history, which he taught at the Slade School of Fine Art in London, specialising in pre- and early Renaissance painting, and in 1899 published a book on Giovanni Bellini. In 1903, he was one of the founding members of The Burlington Magazine, then the first scholarly publication in Britan dedicated to art history, and which was to publish more than 200 articles of his. In 1906, the year of Paul Cézanne’s death, he ‘discovered’ the art of what he termed the Post-Impressionists, including Cézanne, Gauguin, Vincent van Gogh, and the Neo-Impressionists (Seurat, Signac, and others). He quickly started to enthuse about their paintings in lectures and in print. He was also appointed Curator of Paintings at the Metropolitan Museum of Art, New York, and declined an invitation to head the National Gallery in London as a result. Fry joined the Bloomsbury Group in 1910, a momentous year for him as well as his Post-Impressionists. His wife was committed to a mental hospital as a result of serious mental illness, leaving him to care for their two children. He was introduced to the group by Clive Bell and his artist wife Vanessa, sister of Virginia Woolf. When the prestigious Grafton Gallery in London had a vacant slot for an exhibition, Fry seized the opportunity and Manet and the Post-Impressionists took the critics and public by storm. Unfortunately his efforts to promote the exhibition had a serious side-effect. Prior to this, he had expressed some critical views about John Singer Sargent’s paintings, but Sargent remained hugely popular and these had passed largely unnoticed. 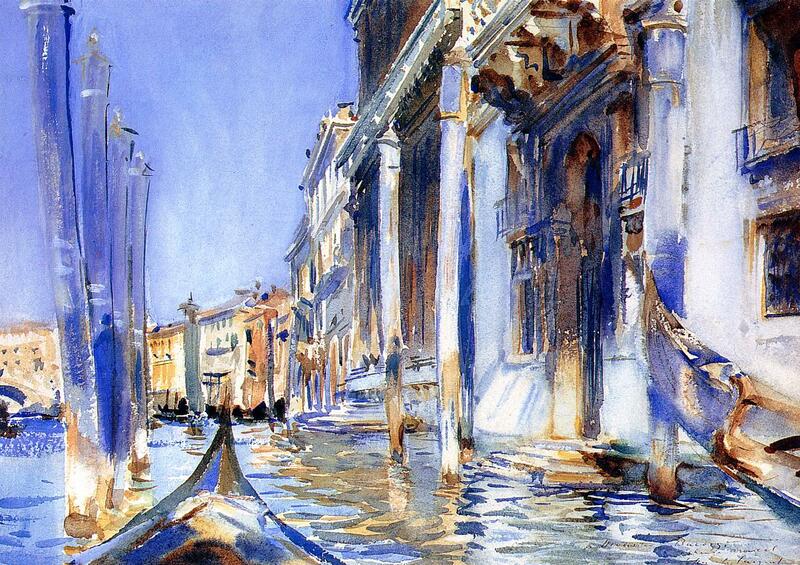 For comparison with Fry’s painting of Venice above, I offer one by Sargent below. John Singer Sargent (1856-1925), Rio dell Angelo (1902), watercolour, 24.8 x 34.9 cm, Private collection. WikiArt. After the critical backlash resulting from the opening of Manet and the Post-Impressionists, Fry tried to salvage the exhibition by writing three articles which were published in The Nation, the influential weekly journal published in New York. The last of these, which appeared on Christmas Eve, listed artists who supported the aims of Post-Impressionism: Fry added Sargent’s name to that list. Sargent’s response was contained in two open letters which were published in The Nation early in the New Year, in which he made his critical views of Fry’s beloved Post-Impressionists quite explicit. From then on, Fry and Sargent were at war. Even after Sargent’s death, Fry refused to bury the hatchet, writing a long and viciously critical review of the memorial retrospective exhibition of Sargent’s work which was mounted at the Royal Academy in London, in 1926. Sargent’s reputation did not recover for nearly fifty years. It is also worth noting that several of those billed in its catalogue as being patrons of Manet and the Post-Impressionists disavowed themselves of such support after the opening of the exhibition, and the critical outcry. Fry’s miraculous conversion to the champion of Post-Impressionism was accompanied by an equally dramatic change in his painting style. 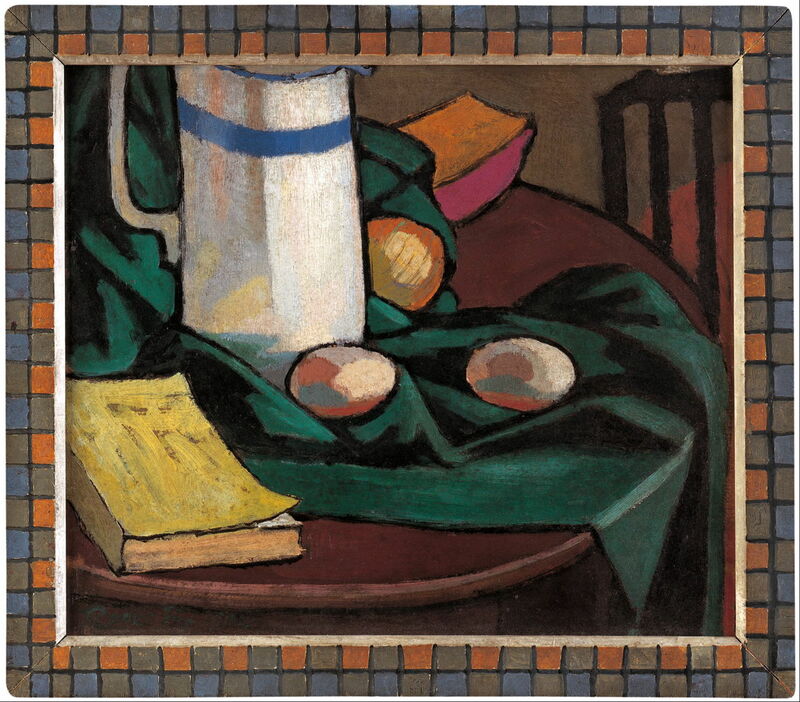 Roger Fry (1866–1934), Still life: jug and eggs (1911), oil on wood panel, 30.5 x 35.3 cm, Art Gallery of South Australia, Adelaide. Wikimedia Commons. Until after the end of the Great War, Fry’s paintings became more experimental, in Post-Impressionist style. Like Cézanne, he turned from landscapes to still lifes, which had many similarities with those painted by Cézanne thirty years before: above is Fry’s Still life: jug and eggs (1911), and below Cézanne’s Boîte à lait, carafe et bol (1879–80). Paul Cézanne (1839-1906), Boîte à lait, carafe et bol (1879–80), oil on canvas, 45 x 54 cm, Hermitage Museum, St. Petersburg. Wikimedia Commons. He did still paint some landscapes, such as the view below of the garden at his house in affluent and rural Guildford, Surrey. But even these were influenced by the styles he had seen in his favourite Cézannes. 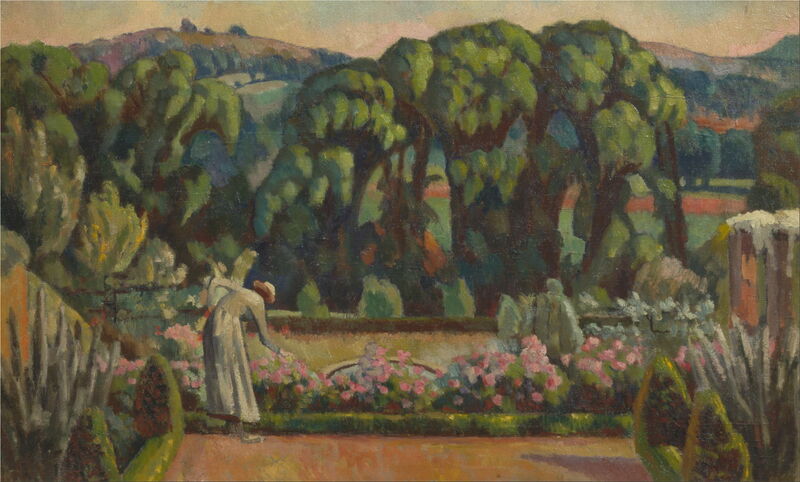 Roger Fry (1866–1934), The Artist’s Garden at Durbins, Guildford (c 1915), oil on canvas, 46.7 x 75.9 cm, Yale Center for British Art, New Haven, CT. Wikimedia Commons. 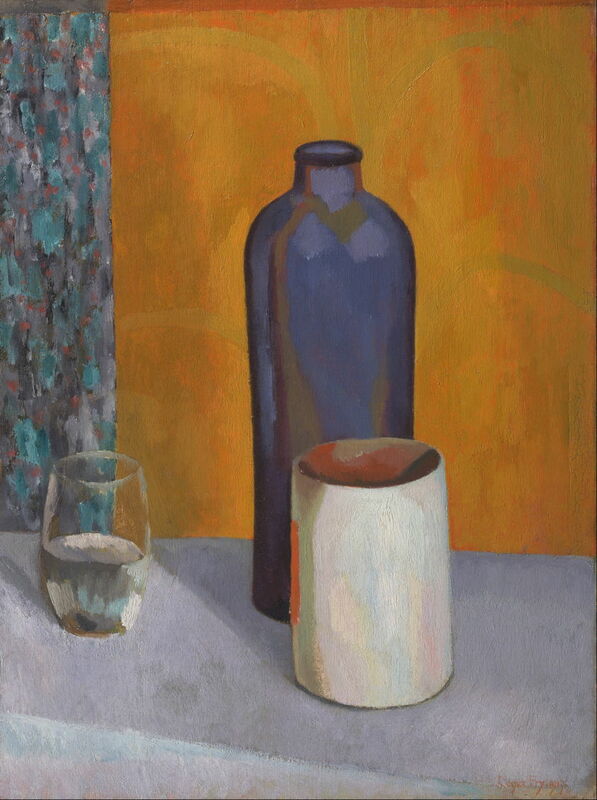 Roger Fry (1866–1934), Still-life with blue bottle (1917), oil on canvas, 62.2 x 45.1 cm, Yale Center for British Art, New Haven, CT. Wikimedia Commons. Between 1911 and 1913, he had an affair with Vanessa Bell, still the wife of his friend Clive Bell, and this was left unrequited when she left him to live with the other artist in the group, Duncan Grant. However, in 1922 he still felt able to write a review of Vanessa Bell’s exhibition for The New Statesman, which opened with the sentence: “The first quality of Vanessa Bell’s painting is its extreme honesty.” Nowhere in the review did he declare his relationship with her. In 1913, he founded, and obtaining funding for, the Omega Workshops, a design workshop in premises in Fitzroy Square, London. Vanessa Bell and Duncan Grant were members. He published a book about Duncan Grant in 1923, but neither Grant nor Vanessa Bell seem to have enjoyed much lasting success from Fry’s promotion of their work. Fry painted a number of portraits of members of the group; in these too he did not follow Cézanne’s lead. Here is the art critic and aesthetic philosopher Clive Bell, whose ideas on art and aesthetics largely coincided with those of Fry. 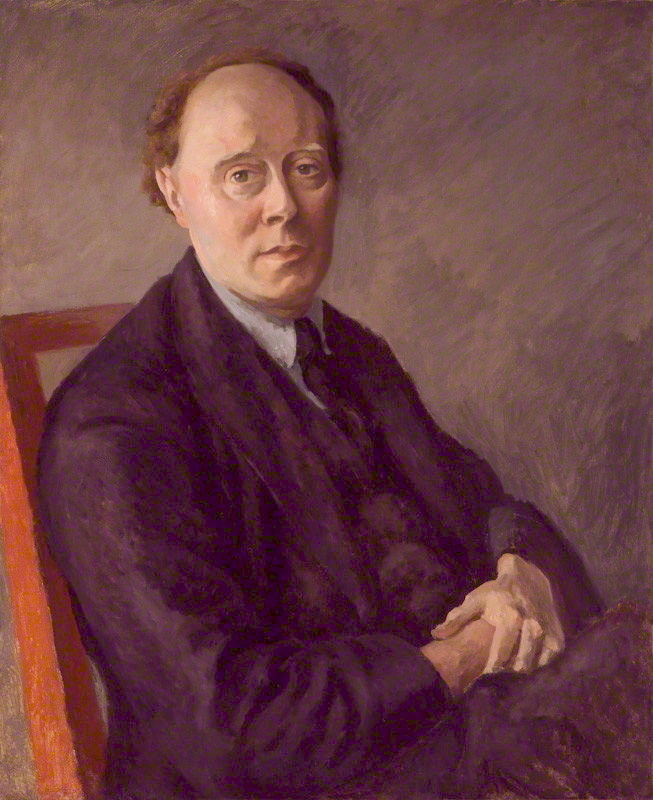 Roger Fry (1866–1934), Clive Bell (c 1924), oil on canvas, 73.4 x 60.0 cm, The National Portrait Gallery, London. Courtesy of the National Portrait Gallery, via Wikimedia Commons. 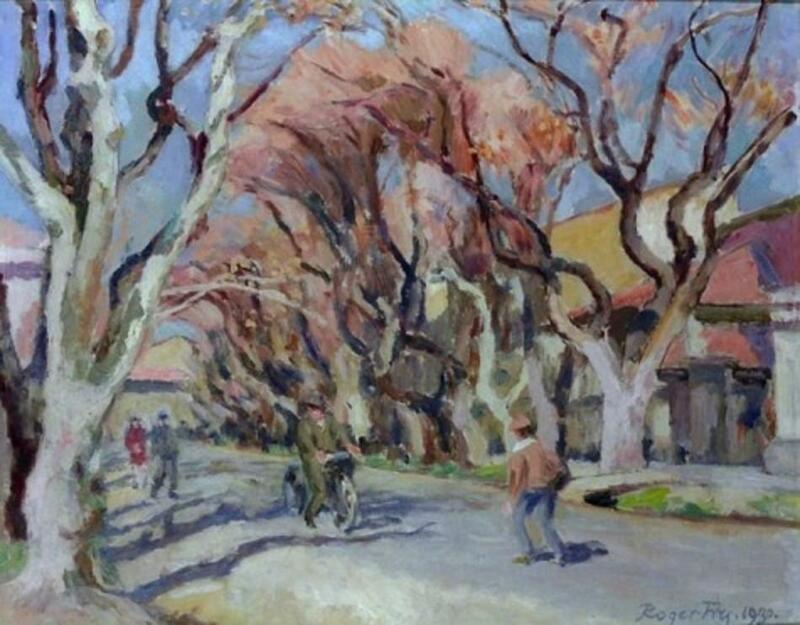 In the 1920s he appears to have painted more landscapes, in a mature and quite realist style, quite unlike the landscapes of the Post-Impressionists whom he was still promoting. Roger Fry (1866–1934), View of Cassis (1925), oil on canvas, 71 x 105 cm, Musée d’Orsay, Paris. Wikimedia Commons. This late self-portrait shows him at the age of 62, shortly after the publication of his highly influential book, Cézanne. A Study of his Development (1927), which remained a key work until John Rewald’s more substantial Paul Cézanne (1948) and History of Post-Impressionism: From van Gogh to Gauguin (1956). A few of his later paintings were also more modern, but only in comparison to his early work. By the time that he painted Carpentras (1930), below, Matisse and Picasso had long abandoned their Post-Impressionist styles which he had revealed to the public back in 1910. 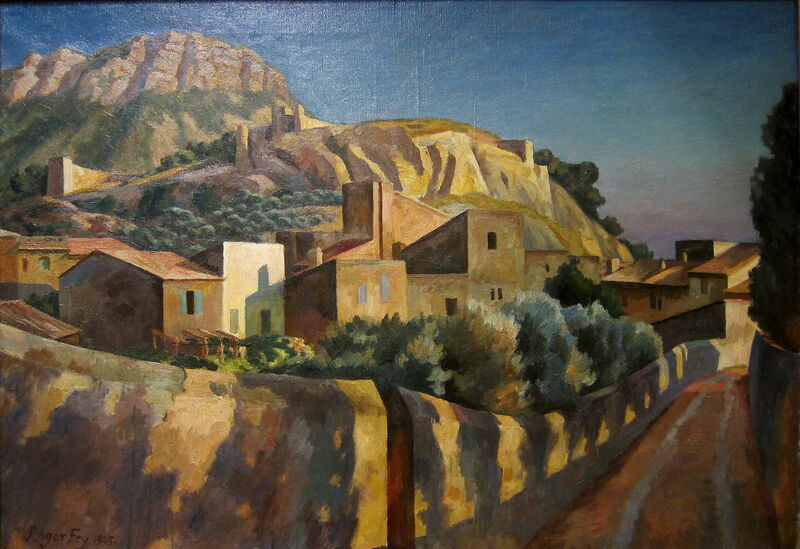 Roger Fry (1866–1934), Carpentras (1930), oil on cardboard on aluminium, 46.1 x 54 cm, The Courtauld Gallery, London. Wikimedia Commons. In 1933, he finally attained the academic appointment which he had long desired, as Slade Professor of Fine Art at Cambridge University, his alma mater. He died the following year. In the next article I will consider the writings of both Roger Fry and Clive Bell, and how they came to reject many of the works of the greatest painters. Posted in General, Painting and tagged Armory Show, Bell, Bloomsbury, Cézanne, Fry, Gauguin, Manet, Matisse, Neo-Impressionism, Sargent, van Gogh, Woolf. Bookmark the permalink. the second image- the blue/white gondola scene- is exquisite. definitely prefer it over the cardboard like still-lifes. Q&A: Can I burn a CD-RW disk as an audio CD?